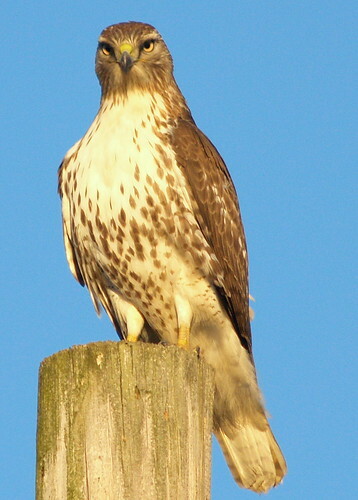 Red-tailed Hawk, originally uploaded by -SPK. This red-tailed hawk is a welcome visitor around our house. We enjoy watching him hunt and how all the other birds react when he's around.